Make that "Special Day" really special. 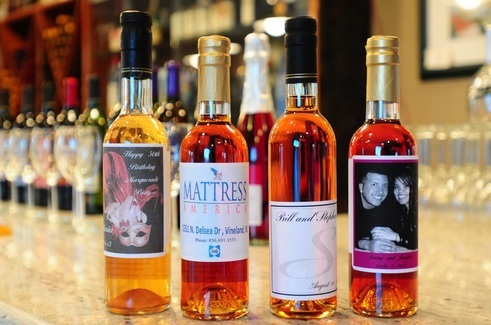 Your Wedding Souvenir, half bottles (375 ml) will serve as a unique favor or place card favor for seating your guests, also as a memento your guests may take home to enjoy. We can provide that these Award Winning Wines (24 to the case) can be picked up at our winery, or shipping could be available, please contact us for details. Labels will be in 2 colors.